Which Heavy Mental Monster Has Damnation Festival Announced As Their First Act? Damnation Festival are starting to get a reputation for big, brutal sounds. Having had the likes of Pig Destroyer, Carcass and Cannibal Corpse playing in the past, 2015’s iteration is looking to be as heavy and imposing as ever. With their only UK show of 2015, Damnation Festival are proud to announce that they’ve gotten Swedish metal legends At The Gates. They are the first of 27 bands playing this year’s festival, which has also dropped it’s capacity after fans posed concerns over congestion. Last year was a sell-out, so it’s certainly more important than ever to get your tickets early. More good news comes in the form of a ticket price freeze. To show thanks for the amount of support the festival has gathered, those behind the scenes at Damnation Festival have decided to freeze last year’s £36 ticket price, a good sign amongst a scene which seems to be raising prices year on year. 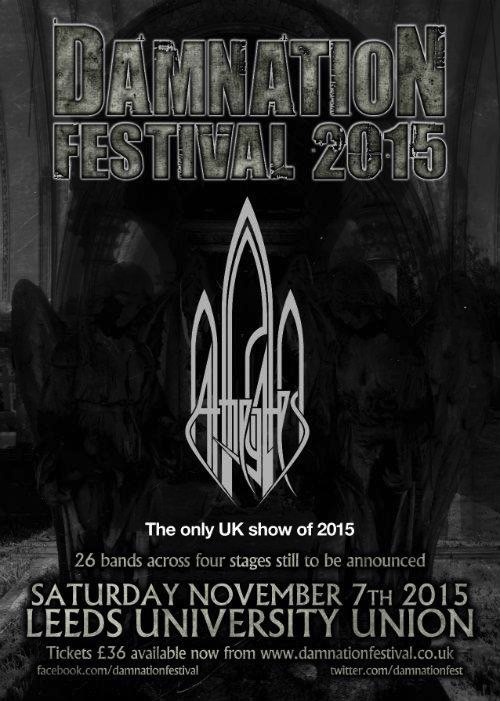 You can catch At The Gates headlining the Jagermeister Stage on Saturday 7th November in the Leeds University Union. This will be the 11th year the festival has gone ahead.